With any book that heavily features cinematic action, there's always the danger (for me) of dissociating from the characters because the focus is more on the plot than their plight. However, this did not happen with Passenger. From the opening pages, I identified with the main characters, Nicholas and Etta, and their character struggles. In the prologue, we are shown a crucial, character-defining moment in Nicholas's life; from that moment on, it's easy to understand his bitterness, his dissociation with the world around him and the privileges and legacy he cannot claim. In the first chapter, Etta is revealed to be a violin prodigy with a competitive, ambitious attitude; she's been waiting a long time for her debut, and she will not back down, a quite refreshing outlook (to me) for a young female character. Both characters are immediately rendered flawed yet sympathetic, with their own struggles to overcome in the duology. Because Outlander is so successful, it seems like there is an increase in YA time-travel novels (for 2016 and beyond). 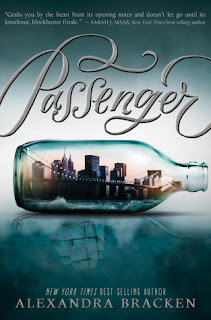 Honestly, I like this trend, and I want to emphasize how Passenger is different from others in YA that I've read. Perhaps the most key element to this difference is the emphasis in Passenger on travelers not belonging to any one culture. In Passenger, time-traveling has become heavily regulated due to one family bending the others under its heel and a diminished ability to time-travel because of a decline in the population of the genetic predisposition therein. Alex Bracken has imagined several details to accompany the time-traveler "belonging" aspect of her world-building: people being orphaned from their time, shifting timelines because of the actions of certain characters and the war between families for power over the time passages; the discussion of wealth and power inherent to the privilege of time traveling and changing history. In order to survive the trials put by the dominating family with the most time travelers, people have been forced to take desperate action. People from that family, and others, have to learn several languages and the ability to blend in with the tenor and feel of a time period, even when its attitudes are so different from their own. Alex Bracken doesn't seem to skimp on historical detail, even when they're not accepted in our own time but are clearly markers of the struggles faced by characters from their own time period. Altogether Passenger is a fascinating look into history and culture with its well-developed world-building. 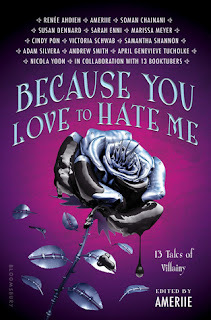 I once saw that teachers recommended YA historical fiction to their students as a way of encouraging their interest in history; I can see Passenger among these novels, for it is clear that Alexandra Bracken has done her research to make the atmosphere and attitudes realistic. The romance between Etta and Nicholas is of the slow-burn kind. While the two are indeed instantly attracted to each other, neither knows what to make of and whether to trust the other. Through their shared trials on their quest to retrieve a valuable object, they get to know one another and that attraction is allowed to simmer. However, the romance never takes over the main quest plot or the suspense that Alex Bracken builds about their motives and those of the other characters. In short, Passenger will have a huge audience. Also, it would make for an amazing movie, and I would not be surprised if, in the coming weeks, we hear of a Hollywood studio snatching the rights to this book. Check out the book trailer if you don't believe me. If you're a The Darkest Minds fan, I do think that you're going like Passenger; there's a similar blend of cinematic action, romance, suspense, and emotionally charged situations. I also would recommend this to fans of A Thousand Pieces of You. Of the time travel YA novels published so far (that I have read! ), ATPoY seems the most similar. Cinematic in scope and sharpened by suspense, family drama, flawed, interesting characters, and an intense romantic bond, Passenger is sure to nab its own legion of fans eager for the sequel, especially after that explosive ending.